We recently participated in a project based learning exercise developed by Blaine Jones, PH at The Academy in Santa Ana. 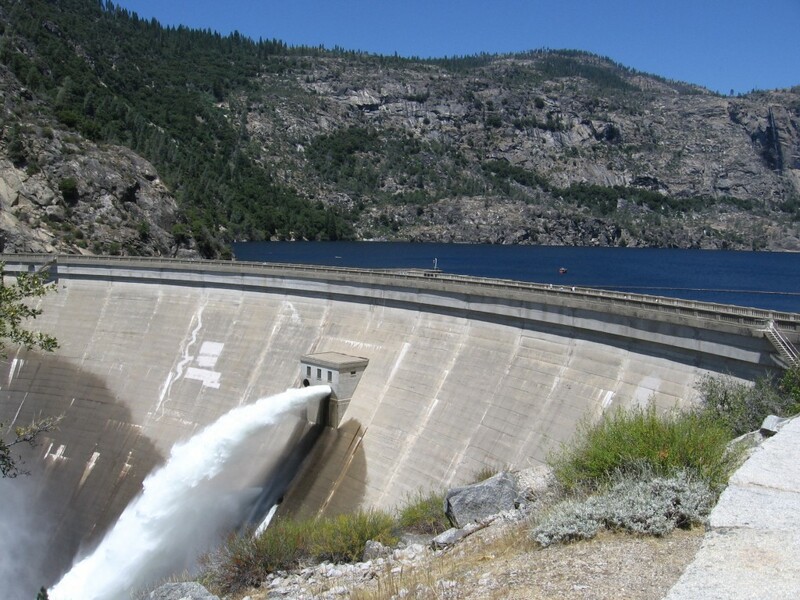 His high school students were charged with preparing for and holding a debate about the fate of the O’Shaughnessy Dam, which created the Hetch Hetchy Reservoir in Yosemite. Students had to learn about the water cycle, how water is managed, and how that management affects different groups of people such as fishermen and hydroelectric power companies. We developed a complementary program, PIREwolf Productions*, to make videos directly addressing Blaine’s students (aka the Firewolves), discussing several factors that should be considered when deciding on the removal of the O’Shaughnessy Dam (or of any dam or infrastructure) and also answered their questions directly. At the end of their project, we were invited to watch the ferocious debates held in the Firewolves’ den. The students showed an impressive amount of enthusiasm for their sides and were well-prepared to argue their cases. Firewolves are not to be trifled with! Their energy was contagious and we were delighted to be a part of the event. Our desire is that the Firewolves and all children in our community are not just prepared for the real world, but are encouraged to explore it and leave their own positive mark. based learning exercises with the help of RBF Consulting, CH2M Hill, & other PIRE researchers & friends. Check out our latest evaluation here! *When students at The Academy were deciding on their mascot they were torn between the phoenix and the wolf. A compromise was reached by creating the Firewolf. Inspired by the Firewolf mascot’s origins and to acknowledge The Academy’s help in the initial development of this program, we decided to call this program PIREwolf Productions. Thank you, Firewolves! See UCI Water PIRE’s other videos here!